"But, clearly, Ukraine should rely on itself." 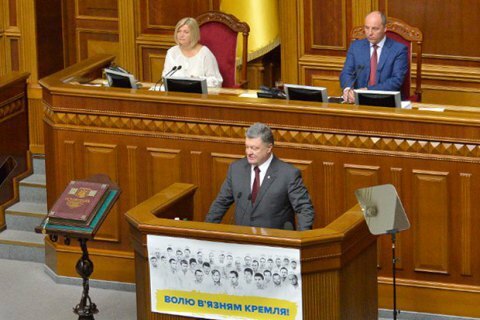 President Petro Poroshenko praised the support of the Armed Forces of Ukraine by Western partners and said that the assistance tothe Ukrainian army has made up over 1.5bn dollars under over forty contracts. "But, in general, it is clear that in defence matters Ukraine should rely on itself, its own army," the head of state added. The Cabinet of Ministers has decided to maintain defense spending at the level of 5% of the nation's GDP.